Pei Wei Asian Diner is a chain of restaurants located in the United States. They specialize in creating made-to-order dishes from China, Japan, Korea, Thailand and Vietnam. The diner is set up similar to that of more tradition American diners. For more information on your Pei Wei Asian Diner application, follow the link below. This company was founded in 2000. Pei Wei Asian Diner is owned by P.F. Chang’s China Bistro. This company is currently headquartered out of Scottsdale, Arizona. There are around 200 locations across the United States, with 3 additional locations found internationally. Their goal is to offer high quality Asian food for an incredible price. These dishes are customized to the customer’s preferences and specification. This company is one that takes pride in the food that they offer, and aim to offer the freshest and most delicious food in their industry. It offers a counter service, coffee bar, and a fast casual style of service. This means that guests order their food at a cashier, and the food is brought out at the table. This is a company that truly values their employees. They treat their employees as family. To prove this, they created the Lucky Cat Fund. This fund is employee driven and employee funded program that is designed to provide financial assistance to any employee that is faced with an unexpected and catastrophic financial hardship. Since 2005, this program has helped hundreds of employees. There are plenty of career opportunities at both the corporate office and restaurant level. This company is one that encourages growth in their company. The restaurant level offers entry-level positions so that a person can turn their job into a Pei Wei Asian Diner career. Some positions at this level include cashier, shift leader, and manager. The corporate office offers a wide variety of positions so that a job seeker can find a job that is a good match for their particular skills and talents. While there are some entry-level positions, most positions at the corporate office are higher level positions that have more requirements to gain employment. Some positions include marketing, human resources, and legal. The different positions at this company have different requirements to gain employment. Entry-level positions may require little education or experience to gain employment. Higher level positions may require a college degree and several years of experience. How old do you have to be to work at Pei Wei Asian Diner? The minimum age of employment is 16 years of age. This company offers benefits similar to others in this industry. Employee eligibility for benefits can depend on hours worked weekly and job title. Some benefits include health insurance, dental and vision plans. They may also get paid time off, access to 401(k) plans, and bonus pay. Other benefits include employee discounts. The hours of operation can vary depending on location and holidays. Some holidays may cause restaurant closures. For more information, contact your local restaurant for details on the hours of operation. In general, the hours of operation are Sunday through Thursday from 10:30am to 9:00pm and Friday and Saturday from 10:30am to 10:00pm. Cashier- The cashier is responsible for greeting the customers upon entrance and taking the customer orders. They will also handle food running, bringing food to the customers. They are also responsible for bussing tables. They will also clean bathrooms and the dining area during slow periods. A cashier may earn around $9 per hour. Wok Chef- The wok chef is responsible for cooking the customer’s order according to their specifications and company recipes. They are responsible for any prep work that needs to be done during for their shift. They are also responsible for maintaining a clean and sanitary kitchen at all times. A wok chef may earn around $11 per hour. Assistant Manager- The assistant manager is responsible for assisting the restaurant manager in running the daily operations of the restaurant. They will help train new employees in accordance to company policies. They will help fill in when they are short-staffed or if the establishment is busy. They will also assist in performing employee reviews. An assistant manager may earn around $43,000 a year. Restaurant Manager- The restaurant manager is responsible for running the daily operations of their restaurant. They will hire and fire employees as necessary. They will also conduct job interviews for potential candidates. The restaurant manager is responsible for the payroll, budget, and the inventory for their establishment. A restaurant manager may earn around $50,000 a year. These are some questions that you may be asked during your job interview. Why do you want to work at Pei Wei Asian Diner? This question may require some research prior to your interview. The interviewer is looking to see what you know about this company and what they stand for. Discuss which values that you share with the company and why this makes you a good fit to work here. Have you ever eaten here before? The interviewer wants to see if you are familiar with the company and their menu. Answer honestly about if you have eaten here previously. If you have eaten here before, mention what your favorite dish is and why. Why should we choose you over the other applicants? The interviewer is giving you the chance to sell yourself to the company. Take this opportunity to discuss your strengths and why you feel the company would benefit from them. Try not to sound too boastful when doing so. What is your 5 year plan? The interviewer is looking for employees that are willing to grow and advance their careers with this company. Answer the question honestly with what your future career goals are and how this company fits into that plan. Do you feel that working as a team helps to be successful? Businesses in this type of industry are heavily dependent on the employees working as a team. Discuss any how you feel about working as a team and mention anytime where you had to work as a team to accomplish a goal. Wondering how to apply at Pei Wei Asian Diner? 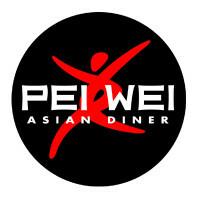 You can apply for a Pei Wei Asian Diner job by visiting Pei Wei Asian Diner jobs online. You may also fill out an application form at your local restaurant. There are no printable applications online. There are no downloadable applications online. The easiest way to apply is to apply directly online. The company has brief job descriptions and responsibilities on the website in order to help job seekers find positions that are a right fit for their skills and talents. You should only apply for a position that you qualify for. When filling out the job application, be sure to fill it out completely and according to the provided instructions. You should also submit an updated resume along with your application. After applying at this company, you should hear back within a reasonable amount of time. If not, you can contact the location that you applied at to check the status of your application and see if they are still hiring for that position. They may also provide additional information, such as when interviews are set to begin. You may consider preparing for your interview beforehand. You can do this by asking yourself potential interview questions and answering them aloud. This will help ease your nerves, as well as making you seem more articulate and confident during your interview. You should remember to dress in a professional manner for your interview. This will help increase your chances of gaining employment. Bravo: Checkout the application page for work at Bravo. El Torito: See this page for jobs at El Torito. Nathan’s Famous: See our resource page for more information on Nathan’s Famous careers. Souplantation: See this page for jobs at Souplantation. Atlanta Bread Company: Use the Atlanta Bread Company job application to apply here.